The Chinese lanterns are for the decoration of the ceiling, they are round and in one colour. The paper lanterns are for night festival and popular feasts. 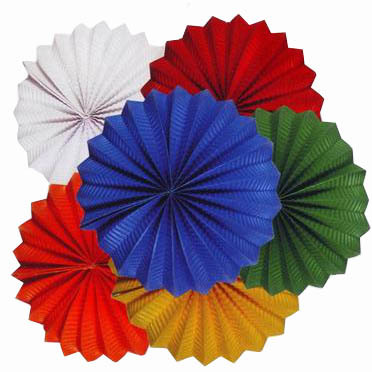 If you are preparing a festival in a very Spanish touch, the paper lanterns are very decorative. It’s an appropriate decoration and we will get the guaranteed success. The paper lanterns form part of our inseparable april fair. They are indisputably the main sign of identification during these spring time celebrations in Sevilla. The light and paper lanterns, without which it should be unthinkable a Sevillan Fair, like to remove Shaft, carnation or the camomile. They are sold in pack of 12 units per colour.